New Farmers’ Market for Westchester? 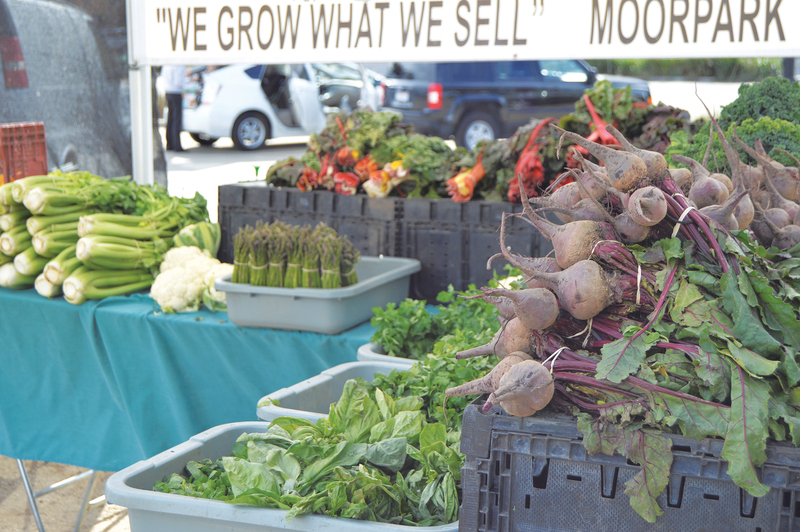 The Westchester Town Center Business Improvement District (BID) is considering establishing a new weekend farmers’ market in Westchester’s business district to open sometime this summer. If the plans move forward, the BID would work with the current management of the weekly Westchester Farmers’ Market to establish the new one, giving residents and community members more options to shop for local produce and artisan items. The Westchester Farmers’ Market is currently held every Wednesday at Westchester Park. Possible locations for the new market include the Westchester Triangle. Airport Marina Counseling Service announces honorees. The Airport Marina Counseling Service (AMCS) recently announced the honorees for its annual Spring Event to be held on Saturday, April 2 at LMU. This year, the nonprofit will honor Christina Davis, President/CEO of the LAX Coastal Chamber and the LAX Coastal Chamber with the Community Builders Award. The Westchester Mental Health Guild will be presented with the Champion of Mental Health award. The chamber is receiving the award for the work they do to promote and enhance the vitality of the community through services to its members, educational programs, strategic partnerships, community outreach and legislative advocacy, according to AMCS Executive Director Eden Garcia-Balis. The all-volunteer Westchester Mental Health Guild is being honored for its tireless work to raise funds for AMCS. The nonprofit has provided hundreds of thousands of dollars in support of AMCS during its almost 55 years in existence. Founded in 1961, AMCS is a nonprofit that offers counseling on a sliding scale. Last year, the organization provided nearly 17,000 hours of counseling sessions and supported the training of over 50 therapists. Services are offered to children, teenagers, families, couples and individuals, many of whom would otherwise not have access to mental health services. The Spring Event will include dinner, a silent and live auction and entertainment from NBC meteorologist and comedian Fritz Coleman. Tickets to the event are $135 per person. For more information, please contact Eden Garcia-Balis at AMCS at (310) 670-1410 or visit airportmarina.org. The Proud Bird closes for 10 months of renovations. The iconic Proud Bird restaurant temporarily closed its doors on Sunday, February 1 to embark on a 10 month renovation that will see the eatery transformed into an aviation-themed food hall. The hall will feature a variety of food kiosks that will offer diverse food and drink choices. Since first opening in Westchester in 1967, the restaurant, with its views of LAX’s flightpath, has delighted visitors and community members with its views of landing airplanes at LAX and aircraft memorabilia. The renovations, led by design teams Design Development Group and Think Roth Projects, will add communal tables, lounge seating and a sleek bar to the more than 50,000 square feet of restaurant and event space The decor and six refurbished banquet rooms will also get a contemporary makeover. Aging in place nonprofit increases coverage area. The Westchester Playa Village, a nonprofit membership organization that helps seniors age in place, recently announced that it has changed its name to better reflect its growing coverage area. In addition to the Westchester, Playa del Rey and Playa Vista communities, the newly named Westside Pacific Village (WPV) will now also serve the Marina del Rey, Ladera Heights, El Segundo, Culver City, Mar Vista and Venice communities. Seniors who join the organization are provided services like transportation to appointments, help running errands and handiwork around the house, as well as friendly visits from a network of volunteers. For more info, visit thewpv.org. Melody Pizza expands delivery hours. 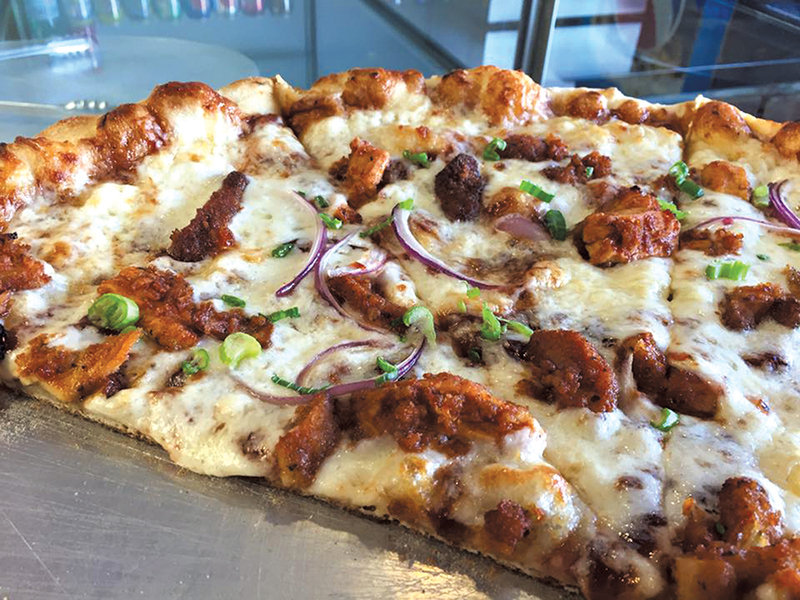 Westchester’s Melody Pizza recently announced it has expanded business and delivery hours to help to satisfy the community’s pizza cravings until 2 a.m. on Fridays and Saturdays and until midnight Sunday through Thursday. The pizzeria, located at 9146 Sepulveda Blvd., specializes in New York-style pizza with a California twist and besides popular menu items like the BBQ Chicken Pizza, Brooklyn Arugula Pizza and the Korean-inspired Bulgogi Pie, the quick-service restaurant offers a variety of salads, entrées and heroes. New manager Kasey Burdick says the restaurant is proud of its made from scratch dough and sauce, as well as the fact that their recipes use fresh ingredients and vegetables that they purchase weekly from the Westchester Farmers’ Market. Burdick says the restaurant is eager to work with local nonprofits and schools for fundraiser events where 10-20% of the fundraiser profits go back to the organization. We want to hear about your business or nonprofit! Email us at westchesterhometown@yahoo.com for a chance to be featured.